UPDATE: On-line registration is now closed as of 6/17. However, if you have not registered and want to attend, no problem! We will be accepting walk-in Pilot Registration at the event, and can take cash or check for payment. Pilot registration at the event is $45. Fox Valley Aero Club proudly announces our fifth annual Windy City Warbirds & Classics Event. We invite all pilots that own models meeting type and IMAA size requirements to join us for four days of flying at the fabulous Fox Valley Aero Club flying field. 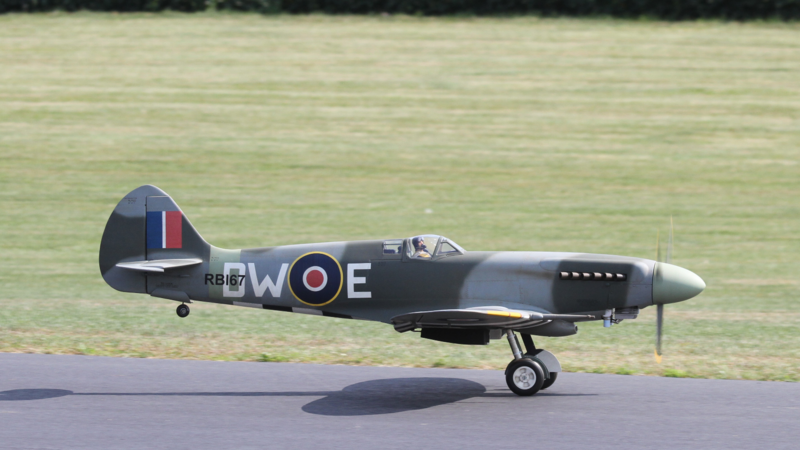 The event covers 3 days of flying on Thursday, Friday, and Saturday, with an open fly day on Sunday. All WCWC participants are welcome to stay and fly on Sunday. No aircraft restrictions on Sunday only. We feature both paved (50' x 800') and grass (100' x 850') runways, an unobstructed flight pattern, large pit area, six flight stations, a pavilion with nine battery charging stations, electricity and space for camping and RVs (no hook ups). Additionally, we have nightly aircraft storage with on-site security. The flying site is minutes away from resturants, shopping, hotels and a local hobby shop. This year as part of the 5th Annual Warbirds & Classics Event, we are going to highlight 100 years of the British Royal Air Force (RAF), the world’s first and most famous independent Air Force. This highlighting of British war planes will be in addition to all the Warbirds and Classics that are normally at our event. 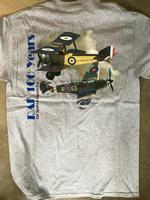 Our event T-shirt this year will feature a graphic of famous RAF planes. They are available to purchase with your on-line registration, or also at the event. See Photo section here for a preview of the event T-shirt. On Thursday night we will feature a pilot's appreciation dinner sponsored by two of our members. On Friday evening, pizza will be available for purchase at the field, so stay around and enjoy the camaraderie with fellow pilots. At dusk on Saturday morning we will open the field to all pilots with WWI era aircraft for a "Dawn Patrol" flight. Bring your camera as this will be a great photo opportunity. Also Saturday we will have a Pilots Dinner and Awards banquet at the field. Times for all events will be listed on this site soon. The registration fee is $40 when paid before 6/21/18. Registration at the event is $45. The pilot's banquet dinner is included in the registration fee. Additional banquet dinners can be purchased for $15. Friday Pizza Night tickets can also be purchased with your registration for $10, and event T-shirts and hats are $20 each. Payment for registration, dinners and apparel items can be sent to: Joe Pedone, 753 Waterside Drive, South Elgin, IL 60177, or paid on this site using PayPal or credit card. On-line registration will be available through 6/17/18. NOTE - Before registering, please refer to the "RULES & SANCTION INFORMATION" section for eligible aircraft information. The Windy City Warbirds & Classic event is proud to be a member of the Warbirds and Classics Alliance. Learn more about the WCA and other Warbird events at http://www.warbirdandclassics.com/ and how you can become a Warbird Warrior. For information and ideas on things to do while visiting our beautiful city of St. Charles, IL., click on the following link to the St. Charles Visitor Website at http://www.visitstcharles.com/ . Here you can find great ideas for all types of dining, shopping, etc. Pilot Parking is the grass area to the North of the pavilion. Covers landing fee and Saturday dinner for the pilot. Limited Edition T-Shirt, 2018 release. Event logo on front, warbird montage on back (no year marking on shirt). 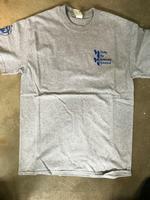 Limited Edition event T-Shirt, 2018 release. Event logo on front, warbird montage on back (no year marking on shirt). Baseball style cap with event logo embroidered on the front. For Friday night only. Pizza delivered to field to enjoy in the company of fellow pilots. Specify total number of tickets for pilot plus any guests. This is for extra dinners in addition to the registered pilot. Note that pilot's dinner is included with registration.